future perfect: denotes a tense of verbs describing an action that will have been performed by a certain time. Future Perfect Corporation is a professional services company providing ebusiness strategy, marketing, governance and technology skills tuned to invent/reinvent companies to compete and win in the digital, networked economy. Our approach combines strategic insight and business analysis with marketing smarts and deep technology awareness. We conceptualise, design, build and manage each initiative to with the same enthusiasm as our first, and with pride and dedication as if it were our last. 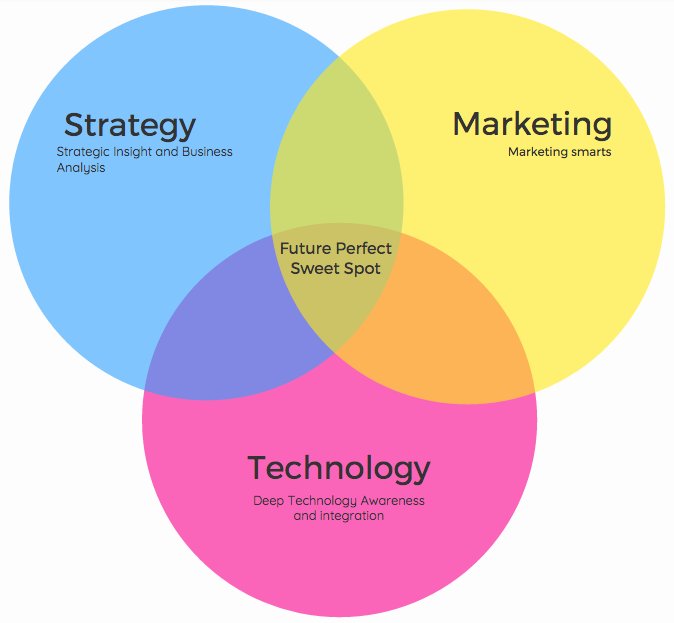 Future Perfect Corporation is not a boutique of different skills under one umbrella, but rather represents an integrated approach to building successful ebusiness initiatives such as those we have built for ourselves, Radian, Vanilla and Billy Engine. Please read more about our Philosophy, People, Services, Projects.